Savage Arms has overseen a steady roll out of their new Model 110 variants, originally announced in early January 2018, launching the latest in the series — the Model 110 Varmint. The Model 110 Varmint provides shooters with a comfortable fit and feel designed to deliver “impeccable accuracy” to varmint hunters looking to down small targets at longer ranges. Utilizing the company’s newest technology, the AccuFit, the Varmint model allows prairie doggers and hunters to efficiently adjust length-of-pull and comb height for a more customized rifle feel. In addition, the rifle comes equipped with Savage’s AccuTrigger which is user-adjustable with a crisp pull. 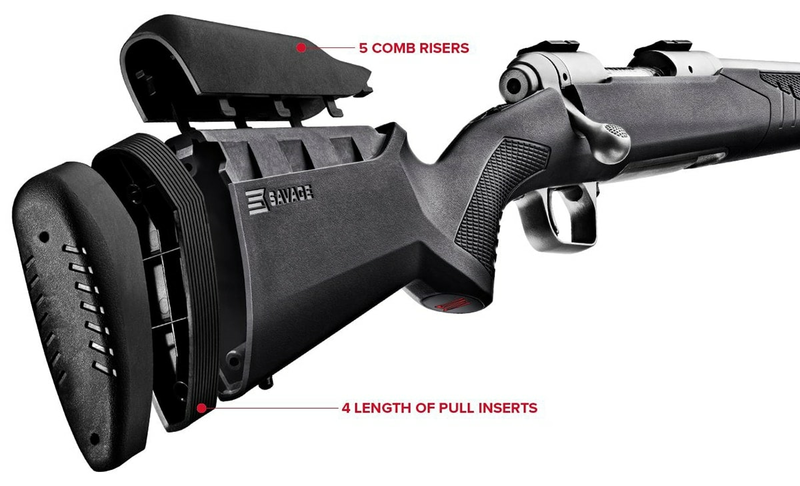 “Together with the AccuStock, which secures the action three-dimensionally along its entire length, the Model 110 Varmint provides the fit and function of a custom rifle—right out of the box,” Savage Arms said in a press release. The 26-inch heavy barrel on the long gun is button rifled and mated to the durable synthetic stock. Featuring a detachable 4-round box magazine, the rifle also delivers a fast-handling oversized bolt for easier manipulations. Available in .223 Rem, 22-250 Rem or 204 Ruger, the Model 110 Varmint retails for $749.